With its colorful webpage spotted with palms and sandy beaches, Malibu Club Casino is equipped to receive all the gamblers in a sunny and, above all, funny place. MalibuClub is powered by the software of Rival Gaming, it has two different formats: downloadable casino and Malibu casino instant-play. Malibu games can be easily played with fun or real cash mode. 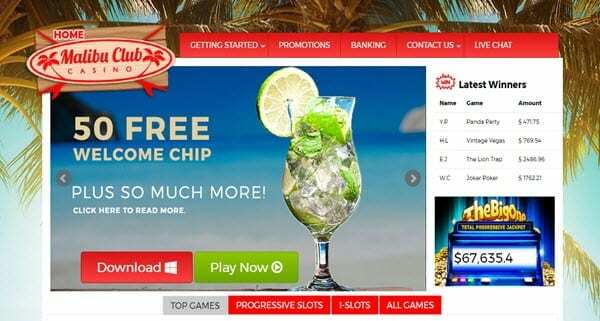 What makes Malibu Casino great is the incredible number of special bonus given to new players. 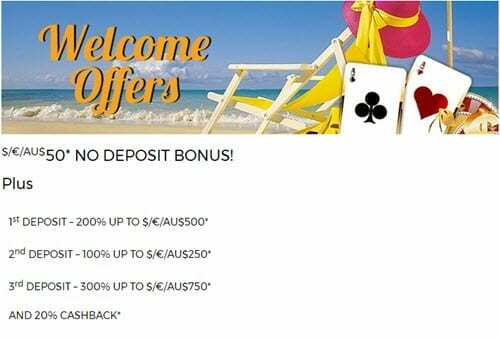 Starts with a $/AU$/€50 No deposit bonus and continuous with an up to $/AU$1,500 over first three deposits. 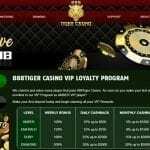 The first deposit bonuses is equal to 100% up to $€500, the second deposit gets up to $€250, and the third deposit gets a 300% up to $€750. 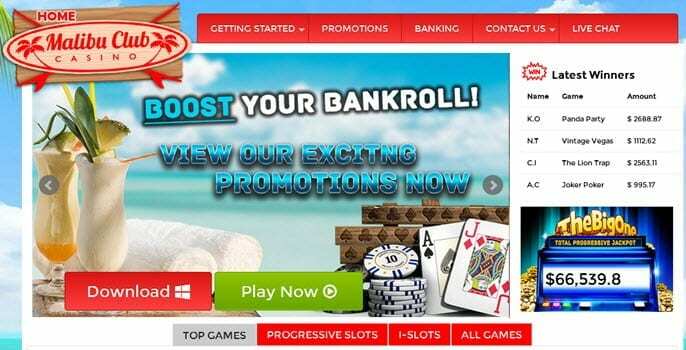 The promotions include 20% Cashback Bonus and extra credit or reload bonus Malibu Casino Online offers all the time, giving more opportunities to challenge your own luck. Malibu Club Casino has also rewards for those who like to play: redeemable comp points automatically accumulate at any wager. The exclusive Malibu games feature a broad range of slots. The I-slots are undoubtedly the ones that make Malibu Casino well-known all over the world. I-slots feature amazing stories that lead the players along with an unexpected path, like As the Reels Turn, Fixer Upper or Bowled Over. Some of these I-slots are a real blast, like Reel Crime: Art Heist Slot that takes you in the world of the professional robbers! 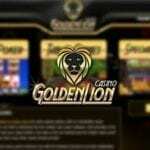 MalibuClub Casino has also a lot of video, progressive slots or 3/5 reel games to choose from. If you are a fan of Video Slots you can go for a good game with Doo-Wop Daddy O, Reel Party Platinum or Opera night. If progressive slots with million dollar jackpots are what you’re looking for, then Money Magi, Major Moolah or Million Reels B.C. are waiting for you. Finally, traditional 3-reel slots have titles such as Gold Rush or Surf Paradise. Plus, the choice of Table Malibu games is wide enough to satisfy anybody. Craps, Red Dog, American/European Roulette, Blackjack or Baccarat are only a few of the various possibilities you can play with. Specialty games comprise Keno, Scratch and Win, Bingo or Sudoku Box Game. Video Poker on Malibu Casino can be single or multi-hand and even mini! So besides the popular Deuces Wild, Double Joker or Jacks or Better here you can find their startling variants. Malibu Club Casino uses the Rival Gaming software and all its games have high-quality design and unique style. A state-of-the-art encryption technology makes all the sensitive and financial information safe and protected from third parties. The Malibu Club Casino Support service is 24/7 and reachable by email, live chats or phone.